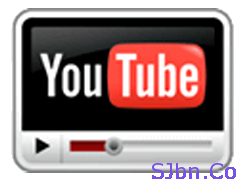 Today in this post I will tell you how you can embed YouTube video without YouTube logo. Whenever we embed a YouTube video it always display a YouTube logo in the player. But if you don’t want to display that YouTube logo then you can use ?modestbranding=1 parameter just after the YouTube video ID. Below you will able to see two YouTube players embedded one is with YouTube logo and other one is logoless. Note: – It will not show the YouTube logo but it will show a small YouTube text label at top-right corner of a paused video when the viewer’s mouse pointer is on the player.